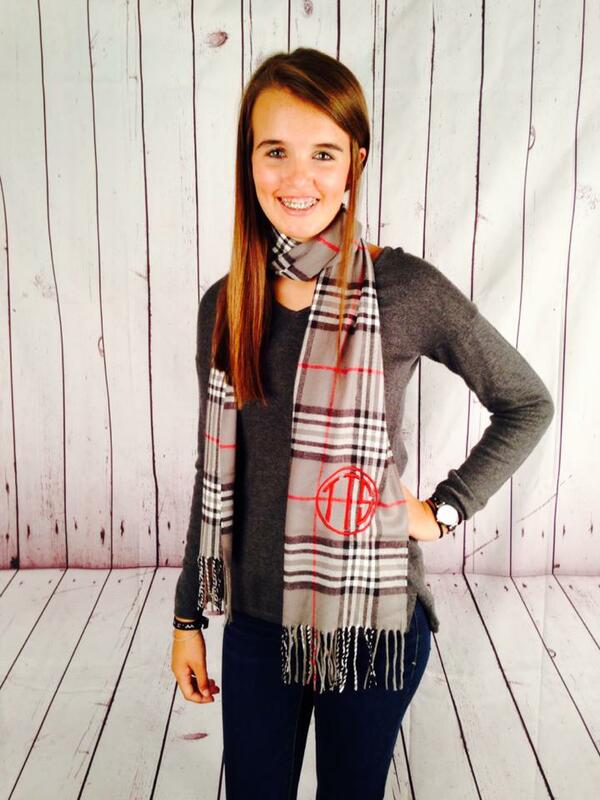 Our designer inspired black plaid monogrammed scarves are a hit! 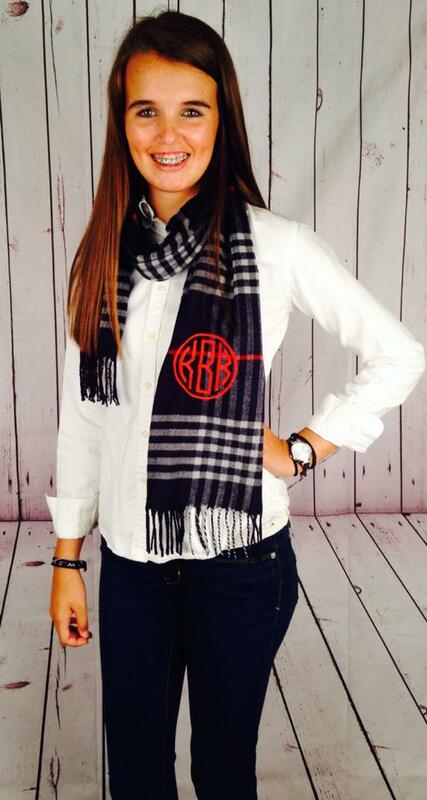 Dress up any outfit with this vivacious monogrammed cashmere scarf in a shade of black. 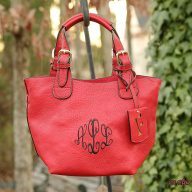 It is a versatile accessory that will add a pop of color to your wardrobe. 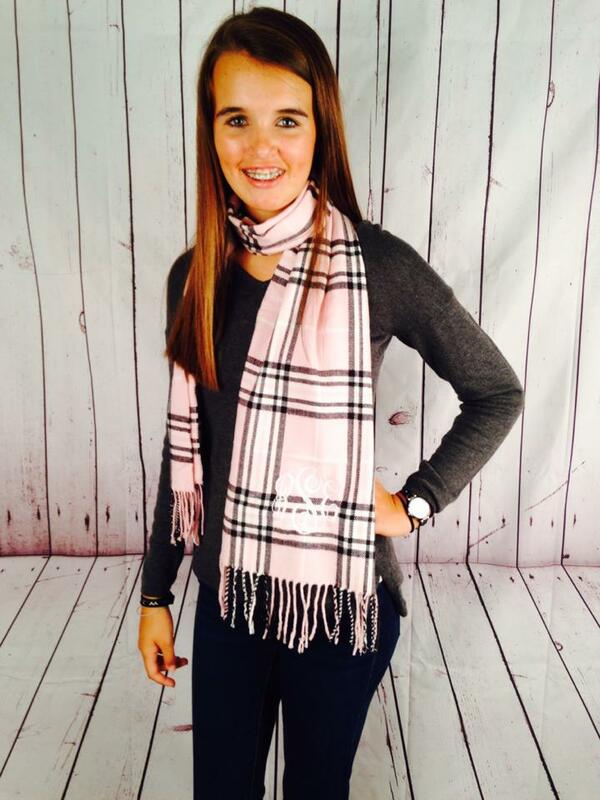 Wrap it around your neck for an elegant ambiance that will also keep the cold at bay. 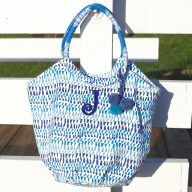 It is perfect to wear to the office or for an outing at the park with the kids. 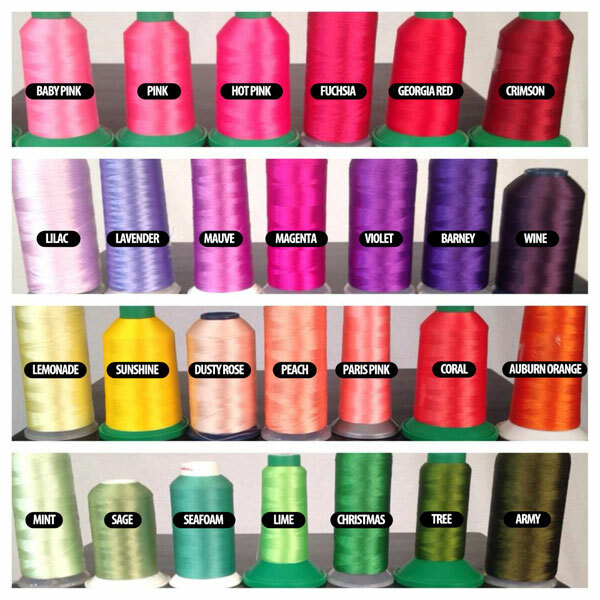 You’ll love how soft it feels against your skin and it looks great with anything. It also makes a lavish gift for a friend or co-worker. 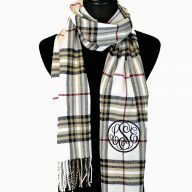 Additionally, these monogrammed scarves are outstanding bridesmaids gifts and look amazing in pictures when matched up with your wedding colors for your big day. 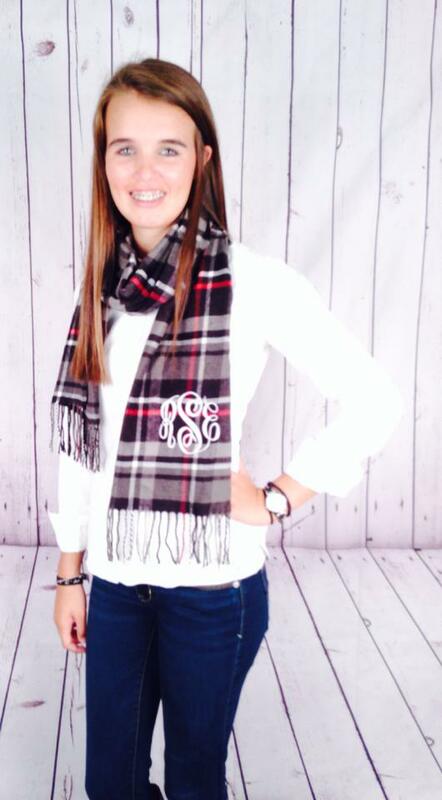 This picture features the monogrammed scarf in a white thread which blends perfectly with the plaid. 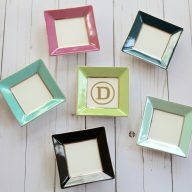 Other colors would also look nice for the monogram – your safest choices would be ones that bring out the colors of the plaid! The font used in this picture is Master Circle. This monogrammed plaid scarf is a limited edition I Flew the Nest original design. Order now to guarantee availability.